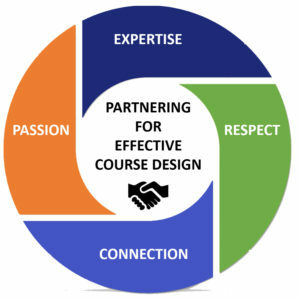 We use a collaborative model in helping faculty design and assess their courses. We modify the process based on the customer’s need, time frame, and resources. To learn more about how we used this model to help a faculty member move her course from classroom to online, click here for the poster .